Hannah was such a beautiful baby and so much fun to photograph. I loved her darling red hair and her sweet little button nose. Hannah had some of the best expressions I have ever seen from a newborn. She was flashing smiles, blowing bubbles, and let me know when she would rather not do something. I did not see her eyes until the very end of our session, but she would scowl at me from time to time. I can’t wait to see her again. I have a fell that Hannah is going to be full of personality! 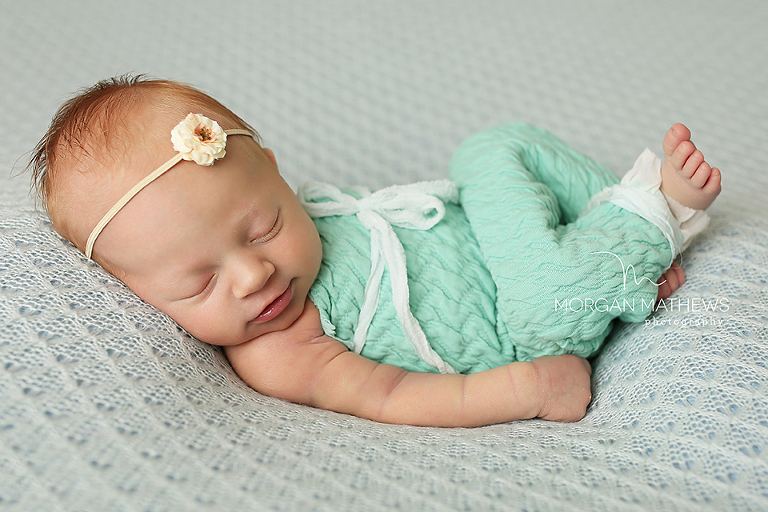 I love that Hannah’s mom went with some nontraditional colors for Hannah’s newborn portraits. I love a soft pale blue for baby girls and rarely get request for it. It fit Hannah so well and complimented her beautiful red hair. When I first started my career in photography I dabbled in every genre I could. I wanted to make sure that I found the place that I belonged in the photography world. During my journey I became friends with a photographer in Utah name Skye Johansen. (If you do not know who she is click HERE. She is amazing!) She takes pictures of newborns, babies, and kids. We went on a trip to Utah and she photographed my oldest who was 18 months at the time. When I got those photos back from her I was so in love I knew that is the direction I needed to go. I wanted every mom to be able to be as happy as I was at that time. 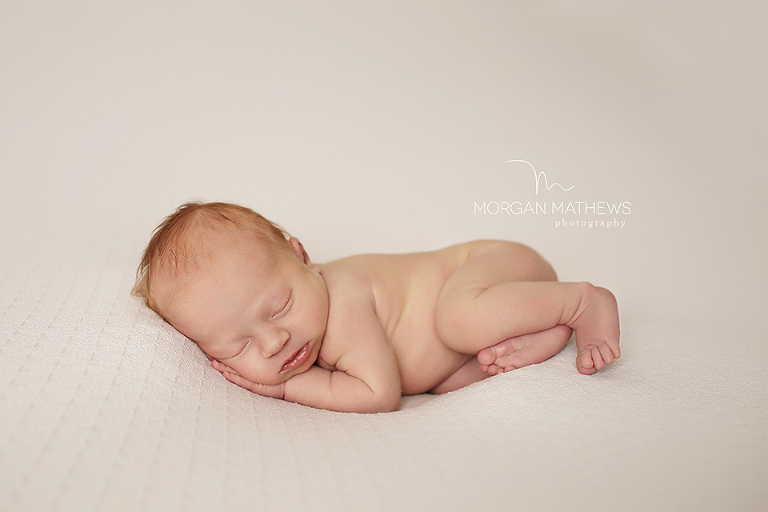 I wanted every mom to have beautiful pictures of their newborns, babies, and children in their home. I didn’t want anyone to settle for school pictures. I searched in my town for someone that took pictures like she did and I couldn’t find anyone… and so began my ever evolving journey towards Reno Newborn photography. Of course the industry has changed in the last 7 years and there are so many amazing photographers in Reno. It is so fun to see all the beautiful work the creatives in Reno are making. And that so many mom are able to have works of art made of their sweet families. I love this dainty and delicate pink lace romper. I got it from The Bookworm Crochet. You can find her etsy shop HERE.